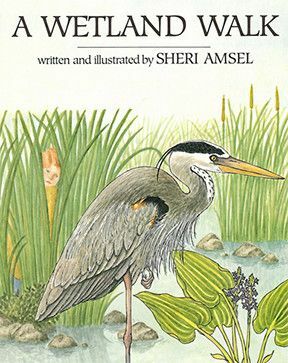 Illustrations and rhyming text depict a day-long walk through a marsh with an introduction to the birds, insects, amphibians, plants and animals native to a wetland environment. The habitat is viewed through a child's eyes. A page of questions and answers is appended. Full color.